Hurts Like A Mother: We Feel Your Pain! Whether you’ve had a kid for decades or a few minutes, you know it can hurt— physically, emotionally, and, let’s just say it: like a motherf*&^%! In the vein of Go The F*ck To Sleep, this grown-up picture book parody of Edward Gorey’s classic The Gashlycrumb Tinies takes you on an A-Z journey through the perils of modern parenting as twenty-six moms succumb to hilarious and horrific child-care related fates. 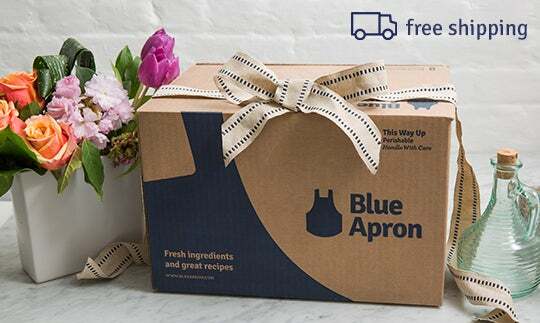 To celebrate the book and Mother's Day, we're giving away a week's worth of meals for your family from Blue Apron (4 meals for 4 family members). Learn more about Blue Apron here. Enter to win and show us a time that being a mother just hurt! We'll share your hilarious and heartwarming moments across our social media accounts, just use the hashtag #HLAM! Ended on May 7th, 2016 at 10:47am. Click here for rules.